*Clinical test on 20 subjects. 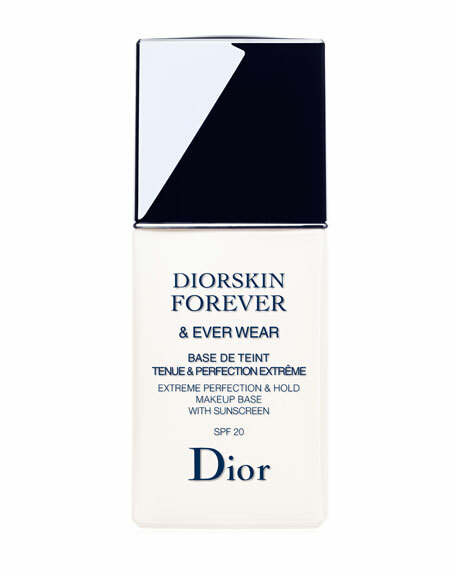 Get set to shine with our ultra glossy formula that features an exclusive Dior combination of 5 ultra-shiny, ultra-light nourishing oils, chosen for how they reflect light like glass. Also includes beeswax for added nourishment and long wear. 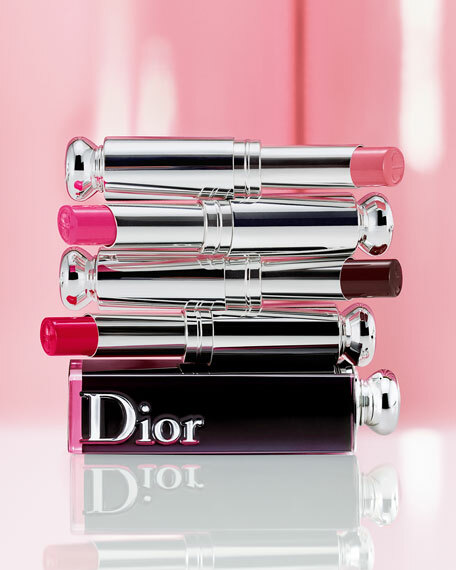 Dior leverages a slower, gentler process for casting the Lacquer Stick. 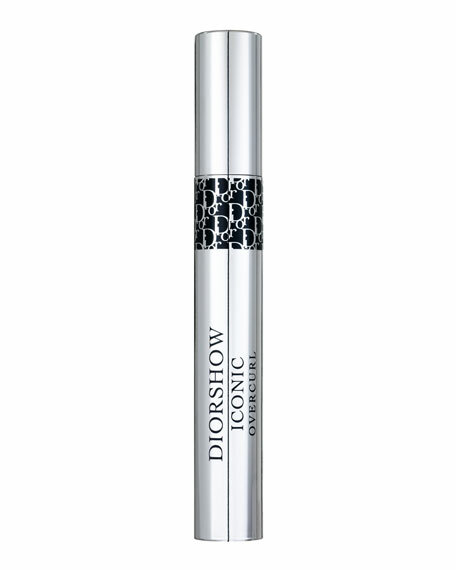 This gives every shade a deliciously "fondant" or "melting" core that creates a deliciously sensorial effect as you glide it over your lips. 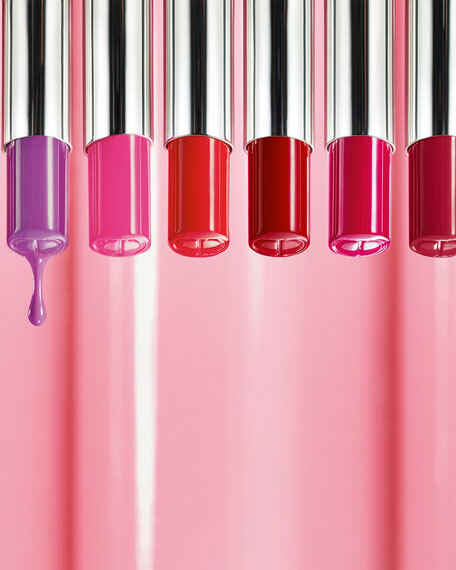 Step 1: Adopt your family of colors from the season's four trends: Pastel, Neon, Classic or Wild. 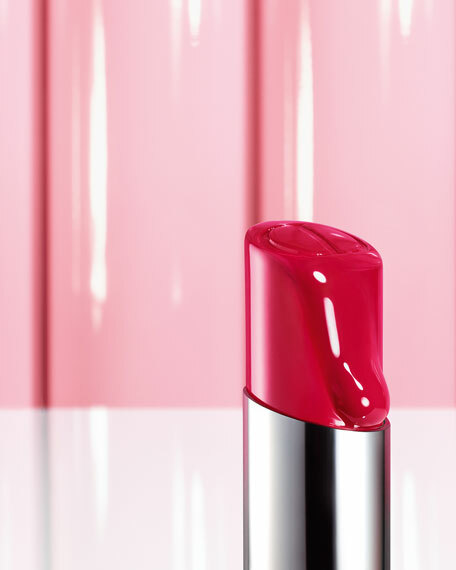 Step 2: Choose your shine effect: lacquered with Dior Addict Lacquer Stick: glossy and glittery with Dior Addict Lipstick, or natural with Dior Addict Lip Glow.